This looks like most easy and handy way to charge iphone quickly. Pocket Plug for iPhone is a case cover that has integrated wall charger pins that fold flat when not in use. 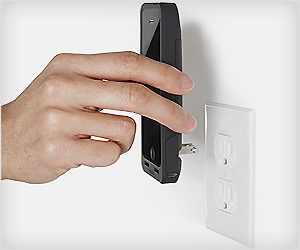 To use, just open pin plug ends and plug into wall outlet for charging – simple!